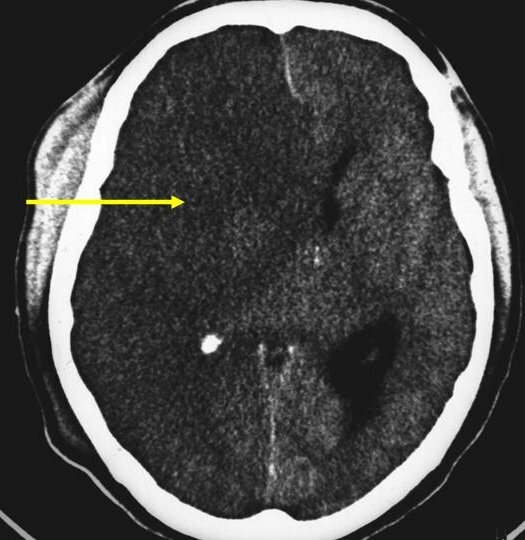 This pathway provides guidance on the imaging of blunt trauma patients who are at increased risk of cerebrovascular injury. 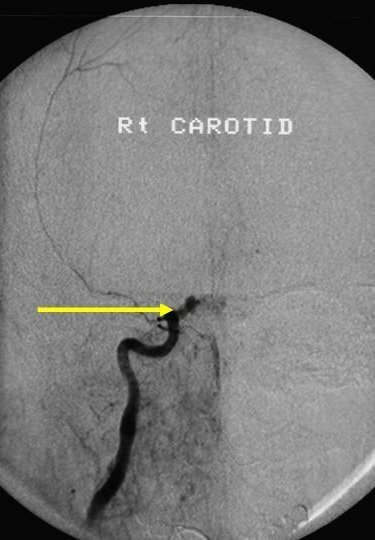 Image 1a (Angiogram): A carotid angiogram in a 33 year old male involved in a motor bicycle accident reveals complete occlusion of the right internal carotid artery in its supraclinoid portion (arrow). 1b Image 1b (Computed Tomography): Large right middle cerebral artery territory infarct with mass effect (arrow).